This is a featured title in our Beauty and the Beast Adventure. Redeemed Reader is not affiliated with or endorsing the new Disney Beauty and the Beast film; rather, we are examining the traditional fairy tale, its biblical themes, and relevant contemporary literature and movies. Meet Phiona, Queen of Katwe, in this thought-provoking, sensitive true story for teens and adults. The Queen of Katwe: One Girl’s Triumphant Path to Becoming a Chess Champion by Tim Crothers. Scribner, 2016. 256 pages. I’ve learned that you can’t pull someone out of Katwe. You have to walk out with them side by side. Phiona Mutesi is the ultimate underdog. To be African is to be an underdog in the world. To be Ugandan is to be an underdog in Africa. To be from Katwe is to be an underdog in Uganda. To be a girl is to be an underdog in Katwe. Katwe is a slum on the outskirts of Kampala, Uganda. It’s the lowest of the low. People who live there live in huts, shacks, or in the open air. They beg for food or work from dawn to dusk selling maize and whatever else they can find. Girls end up with older men who will give them money (which they, in turn, can give their families). Women are often without husbands, struggling to get enough food for their children and to make rent. In this environment, young Phiona Mutesi cuts her teeth. When Robert Katende, a sports missionary (but from a similar environment as Phiona) starts to teach chess to the Katwe kids who don’t want to play soccer, Phiona’s brother begins to go. Soon, Phiona is following her brother, lured by the promise of a free bowl of porridge. And chess, along with the gospel, transforms Phiona’s life. This is a hard book to read. Crothers is a former reporter for Sports Illustrated, and his objective reporting style is a welcome filter through which to experience the unspeakable tragedies of Ugandan slum life. He tells the back stories of many who end up participating in the chess ministry as well as Phiona’s mother. This gives the book a choppy feel in parts, particularly if readers read it slowly over a period of time. However, these back stories are partly what help to enrich Phiona’s story. She is not merely a chess prodigy. 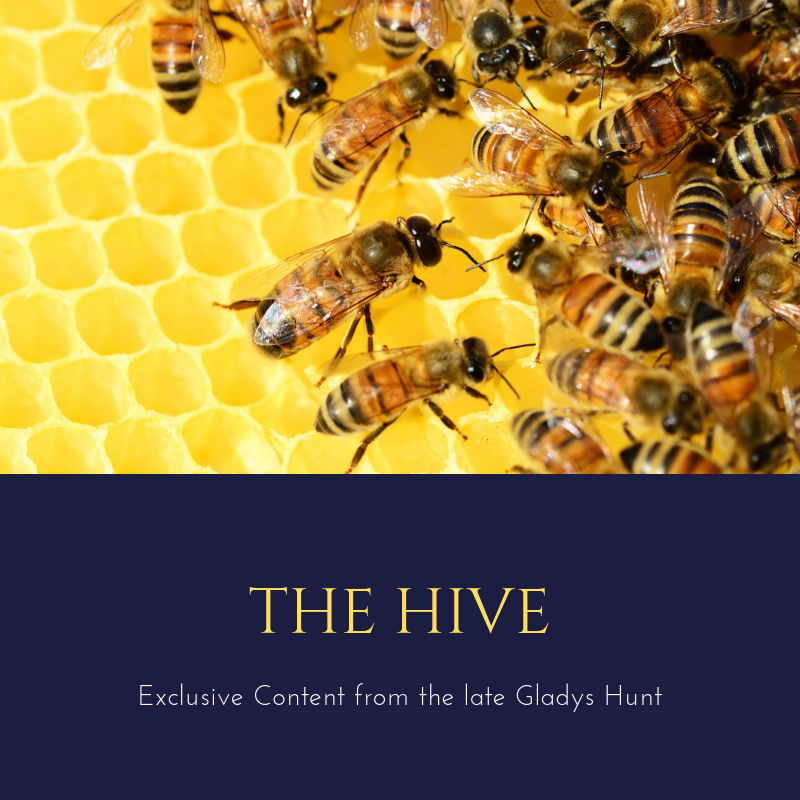 She is a child of Providence: so many strands come together in her story, strands of people who are Christians and who have providentially ended up in sports ministry–or chess ministry, in particular. Phiona’s story, then, becomes our story in the sense that we, like Phiona, were wallowing in misery until we were rescued out by grace. Phiona’s story is her own story, too: her determination, her intellectual gifts, her quiet hope that she not end up with a man like her sister did–just for the sake of money. 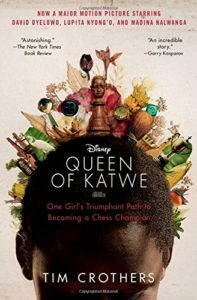 The Queen of Katwe will interest chess players, soccer players, young women in more affluent and privileged societies like the U.S., and anyone who enjoys reading about other cultures. While the issues are myriad, Crothers does an admirable job of tactfully referencing the rampant prostitution and other evils of the slum. Phiona’s faith, along with that of her coach and her mother, is clearly portrayed. The role sports ministries can have in impoverished countries is also clearly presented. This is a book to read and discuss with family members, classmates, friends. Both adults and teens will enjoy it. 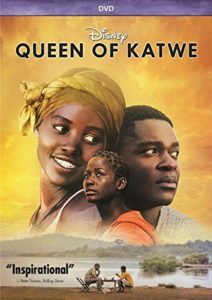 The Queen of Katwe is also a movie, and it is worth seeing the movie after reading the book! The movie doesn’t depict Phiona’s faith as strongly, and it necessarily shortens the back stories of many of the key people in her life. But it provides an excellent picture of what her life is like, what Uganda looks like (and the slums, in particular), and the stark contrast between the children from Katwe and their peers in the more affluent Ugandan communities. It contains the same cautions as the book although it, too, doesn’t embellish the rampant prostitution. For other true stories along similar lines, see Running For My Life about a Sudanese boy who ended up in the Olympics or Every Falling Star about a young boy’s escape from North Korea. Don’t forget to check out our other titles in the Beauty and the Beast Adventure! Thank you for this. I’m putting the movie on my Netflix list! We recently watched the movie with our 15yr old sons. Really enjoyed it, very inspirational! Next PostEvery Falling Star: A Beauty and the Beast Discussion!